In mid February, we went for a short trip not too far from home, about 2 hours drive. As usual, my bags were heavier than me – not only that I brought my laptop along (was hoping I could complete downloading my new MMO game), I also carried with me a couple of books, as if I’m not going to return. We checked in at Corus Paradise, Port Dickson. On the first day itself, that late evening, I curled up on one of the chairs in a coffee house on the first floor of the hotel. I brought my book together with me. 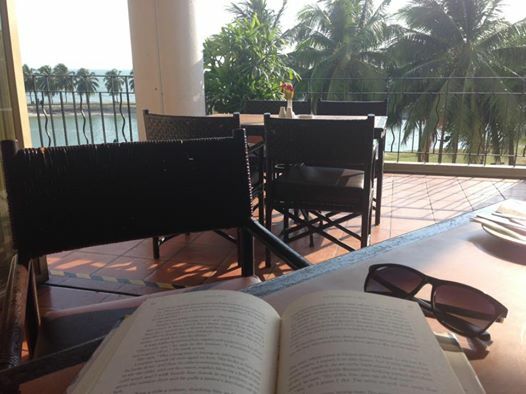 This time, the pleasure of reading was accompanied with a hot Latte, a bowl of fries, a plate of cookies and the best part – with stunning ocean view right in front of me. I couldn’t imagined a better way to spend time reading with a scenic background; it creates the perfect atmosphere to escape into the pages of a good book. We spent our 3 days walking by the beach and had seafood with sunset over the ocean and breezy air. 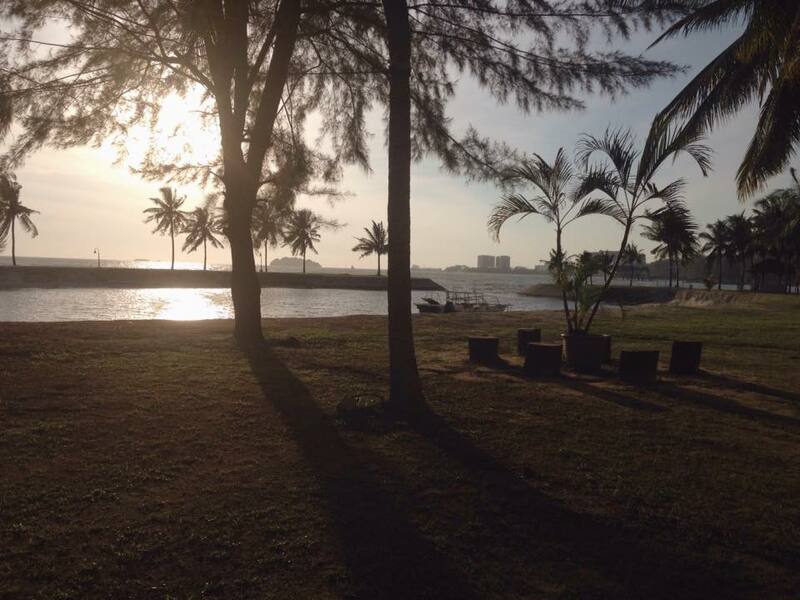 We concluded our trip by driving to Klebang Beach, Malacca before going home. In this short month too, I spent 2 weeks to complete my colouring artwork. The art was a size of a drawing block, and I used crayons, colour pencils, and Sharpie markers. 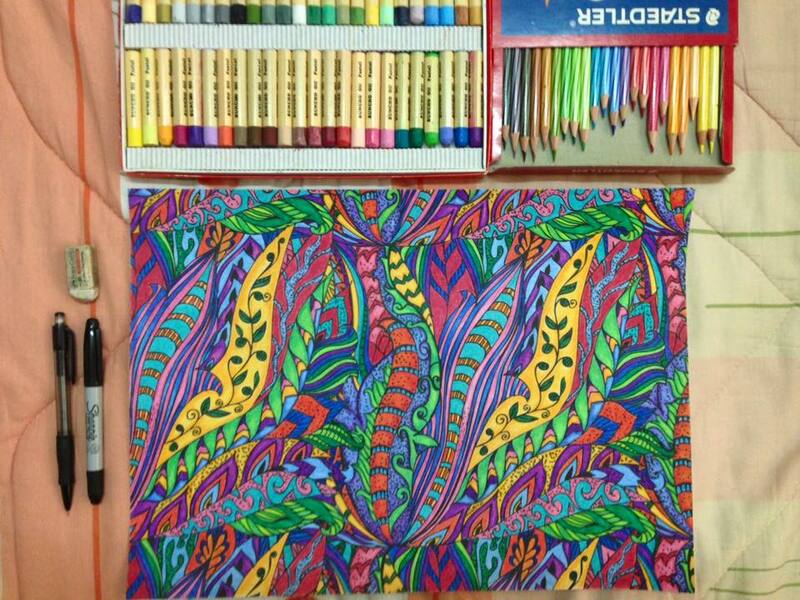 The best thing about it is I find that colouring is a mental therapeutic and also bring more mindfulness. I shared the progress of completing it regularly on my social media and never expected it has caught an interest. In the end, I managed to sell the artwork to an art collector. I felt sad to let go off my artwork at first, but was happy eventually that I could share my work with someone else. Recently, I also bought several new books (even though last year’s TBR still a mountain pile), including books about Writing. ‘One should not stop buying books’, and all I could say is, my addiction is getting out of hand. On any given day, I am usually in the middle of four different books, hence why I always feel the need to keep on buying books – I just love having shelves and shelves of books, whenever I need them, they keep me cozy!